A beautiful detached home occupying a generous corner plot on the sought after tree lined road within walking distance to town. 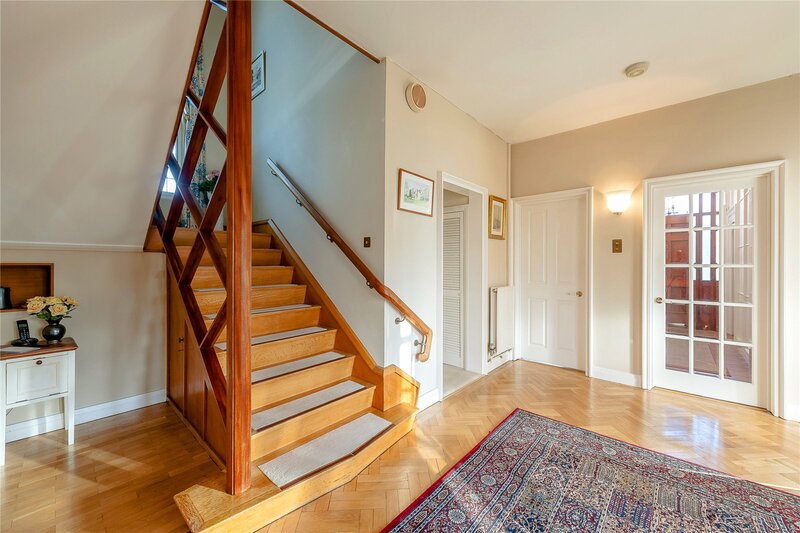 Set on the sought-after Albert Road, this fine detached home was built in circa 1953, it was a real statement home of its time, showcasing the very best of space, style and specification. The individual design and build still retains the classic look and size that is a rare find in Cheltenhams cultural centre. 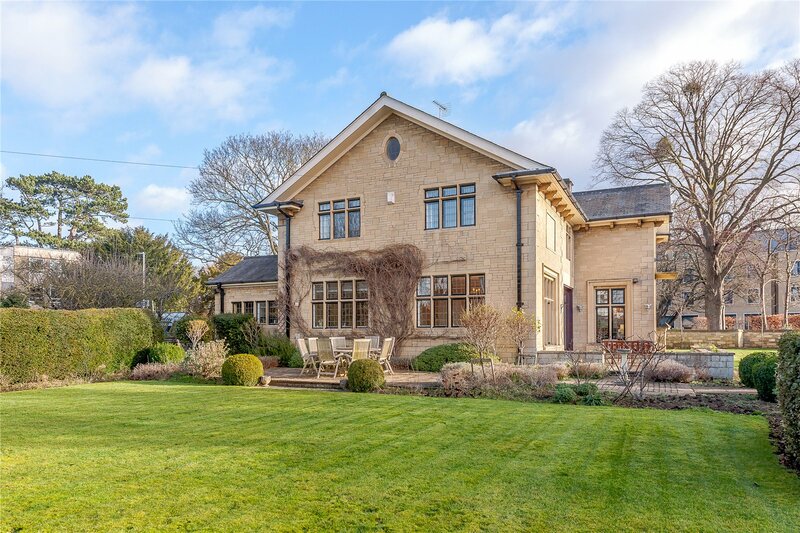 This fine home is as appealing externally as it is internally, with generous proportions and well-planned accommodation in addition to fine examples of exceptional craftmanship throughout. The architectural style allowed for large and ample windows throughout the house with emphasis on an abundance of natural light and interconnecting reception space that flows with ease and offers flexibility to use as one requires. 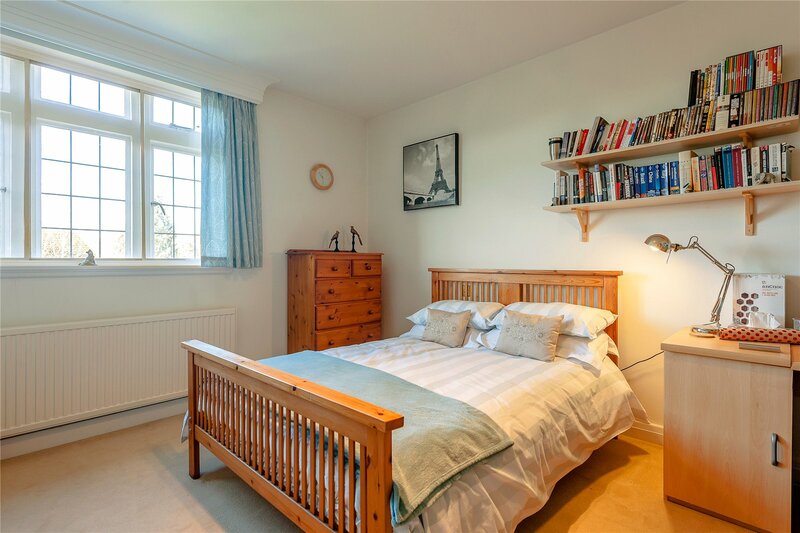 There is a real social feel about the house, with a comfortable and collaborative living arrangement and most of the reception rooms enjoying views of the garden. Entrance is gained through a spacious ground floor reception hall with the reception rooms elegantly set out. 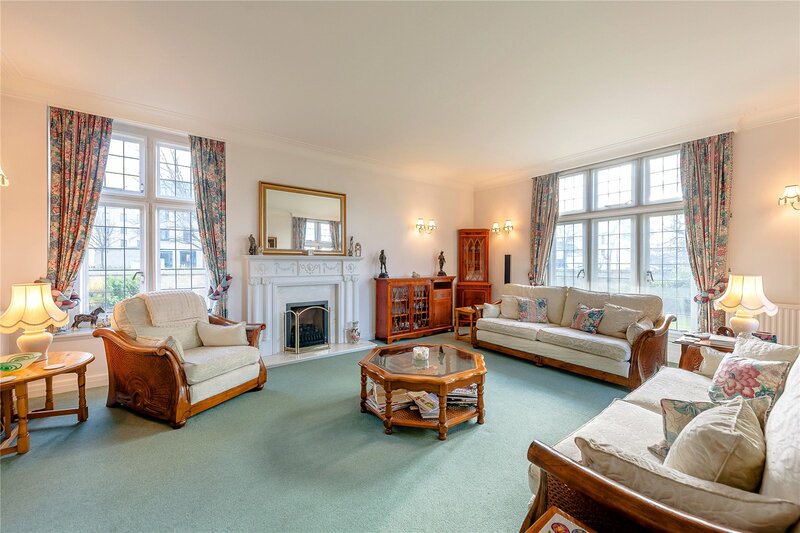 The drawing room, with a feature fireplace, is a beautiful room enjoying a triple aspect view through leaded light mullion windows. A set of oak framed and glazed sliding doors from here lead to a sun room which opens to the gardens. The dining room shares the same aspect to the side whilst also enjoying views of the rear part of the garden. 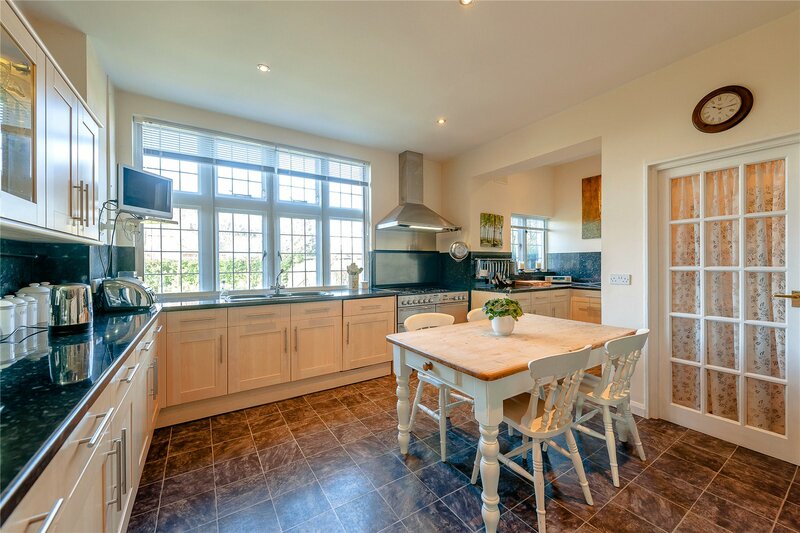 The kitchen is fitted with a range of high-quality cabinetry and appliances leading to a separate pantry and utility room. 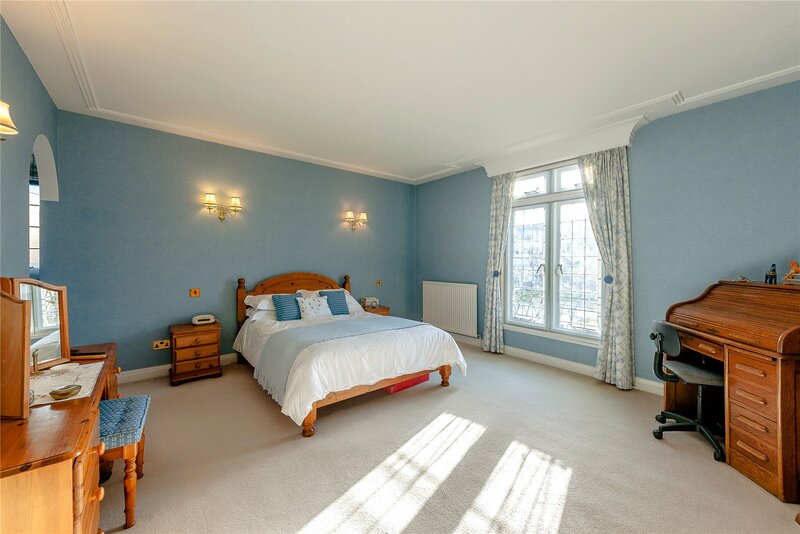 The remaining reception rooms comprise a study, storage space and a cloakroom. 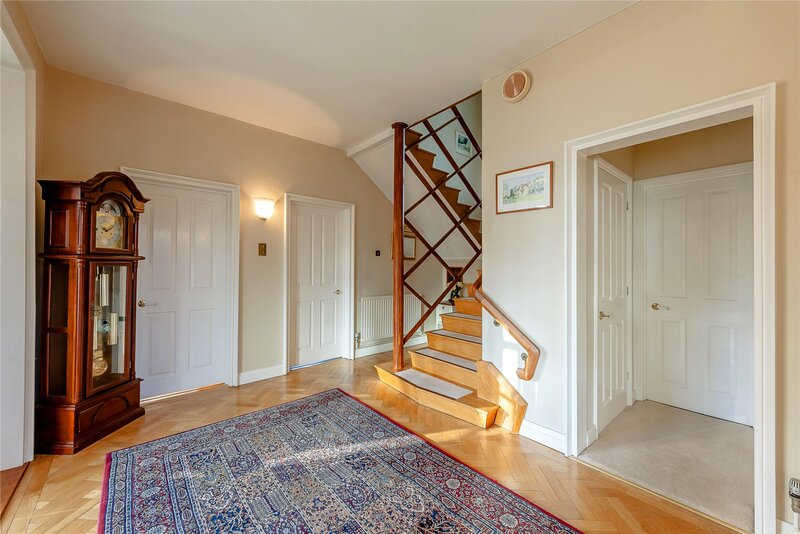 The bespoke staircase rises to a spacious landing and to the five bedrooms on the first floor. The spacious master suite has a dressing room and en suite bathroom with separate shower. 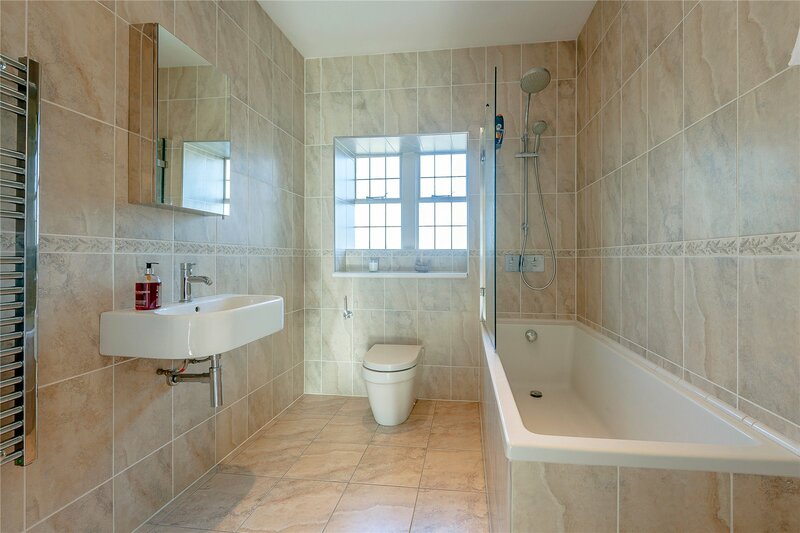 A family bathroom serves the remaining bedrooms. A superb extension to the main house is a self contained flat set over the double garage which adjoins the house to the side. This useful space retains a high level of privacy as it is accessed from the adjoining Hillcourt Road and has the benefit of a private courtyard. 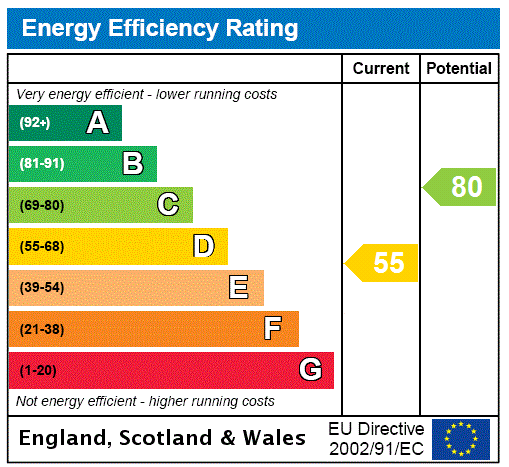 Ideal for an au pair, guest accommodation or dependent relative. 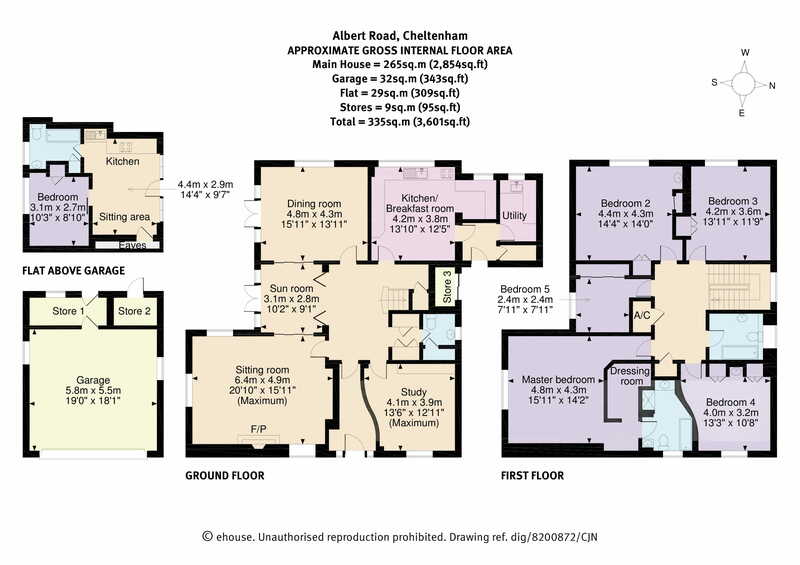 The flat is currently let on a Shorthold Tenancy Agreement, generating a rental income. 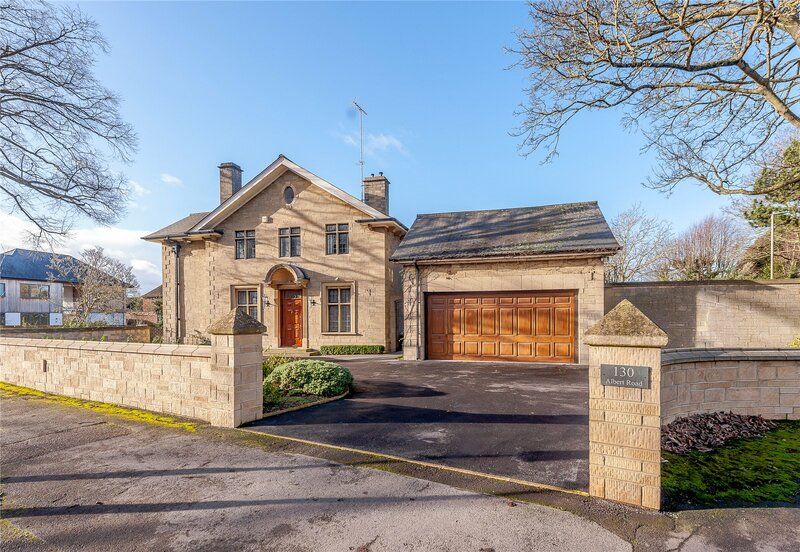 Set behind a stone wall and occupying a corner plot on two sought after roads, 130 Albert Road is fronted with a sweeping driveway leading to off road parking and a double garage. There is an immediate sense of splendour with the formal gardens arranged to three sides of the property. The gardens are a real feature to the property, beautifully landscaped by well-regarded designer Graham Morris. The large expanse of lawn is generous and mature, designed with simplicity in mind with easy to maintain borders and attractive areas to sit and enjoy the grounds. 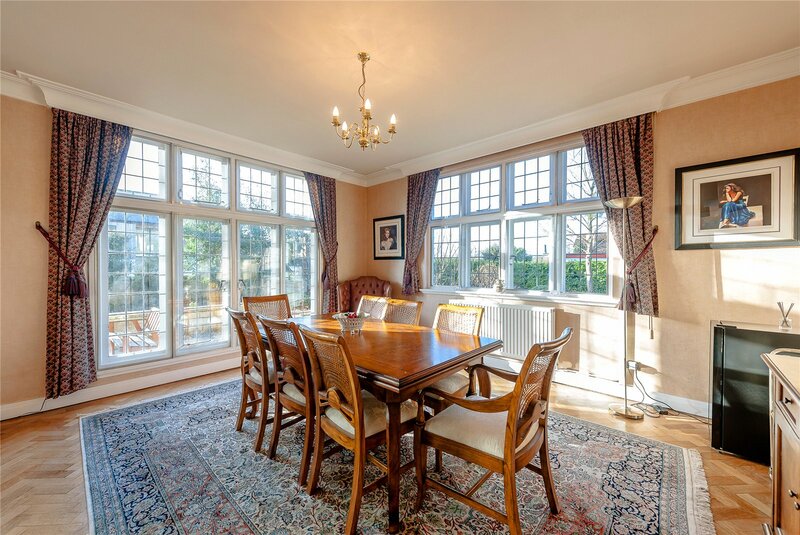 Much of the attraction of the property is due to its prominent corner position on this sought after tree lined road. 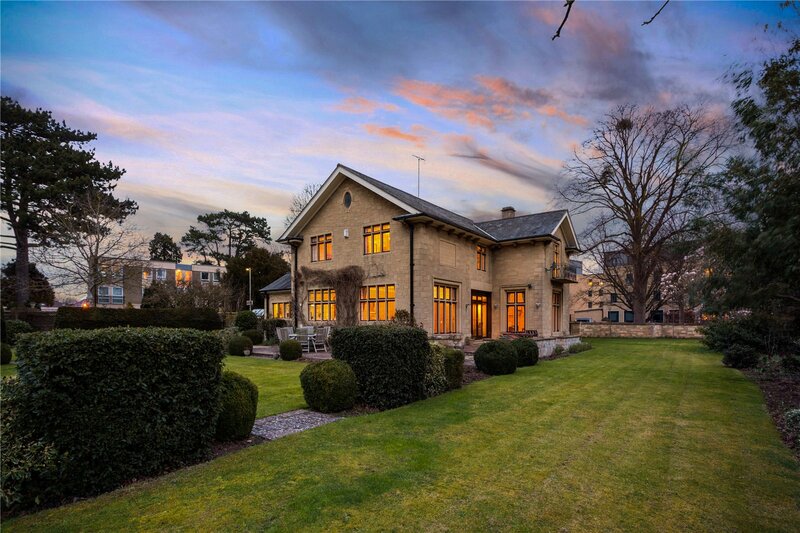 Located in the green and leafy suburb of Pittville; an area recognised as one of Cheltenhams finest locations famed for its iconic park, Pump Rooms and bridged walkways. 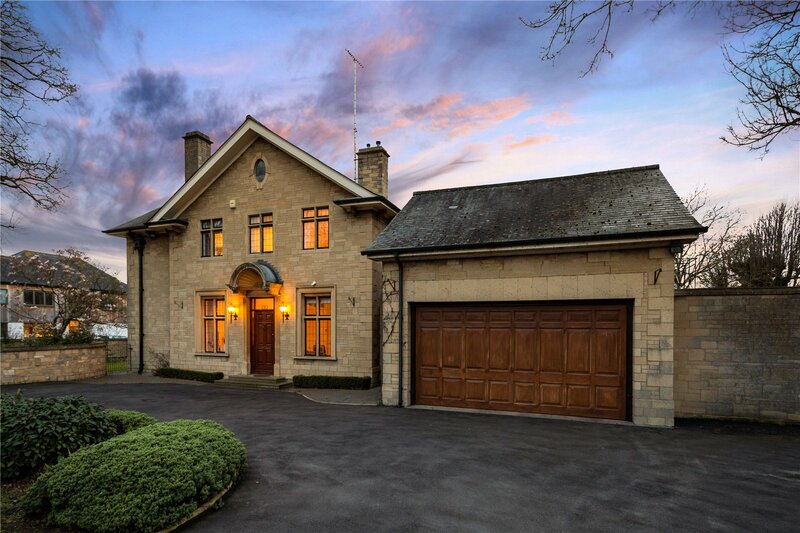 Within a short stroll of Albert Road is Cheltenhams cultural centre, which plays host to several highly acclaimed festivals including Music, Food, Literature and The Gold Cup, held at the world- famous Prestbury Park racecourse, only a short walk from Albert Road. 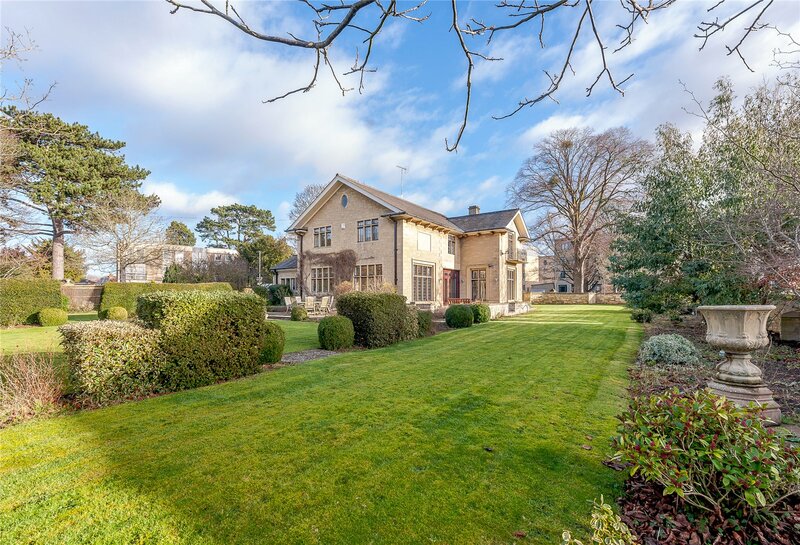 The town is also known for its excellent schools to include, The Cheltenham Ladies College, Cheltenham College, Berkhampstead and Dean Close, making this area perennially popular for families. Communication links are excellent from this area, with easy access to the M5 Motorway and main line train station with lines to major cities.